It is common to make small talk about the weather. Expanding your vocabulary around the weather will make you more confident in making casual chit-chat with native English speakers. In the video below, Gabby discusses five words to use when the temperature drops outside. Here are five words to talk about the cold weather. Sounds like a good we like to eat, but spelled differently. Some people like to eat spicy chili when it gets chilly outside, the heat from the dish warms them up! Chilly is a good word to describe the start of a change in seasons, or an unexpected drop in temperature. This is a good word to describe the weather when it is super cold. Be careful with this word, however, as it has multiple meanings. This word is sometimes used to describe a person who is cold, stiff and unresponsive (often meaning sexually) – as if they were frozen! Just like the song “Frosty the Snowman”. Frost is the white icy coating (not snow) that covers the surface of window panes, grass, leaves, or the outside of your car when the temperature drops below freezing. Frosty is a word you might use on a day where you notice this white covering everywhere and you notice the sidewalks are a little slippery. NOTE: There is a double meaning to the word frosty. Often is someone is unfriendly, they may also be described as “frosty”. It means they are cold and unwelcoming. 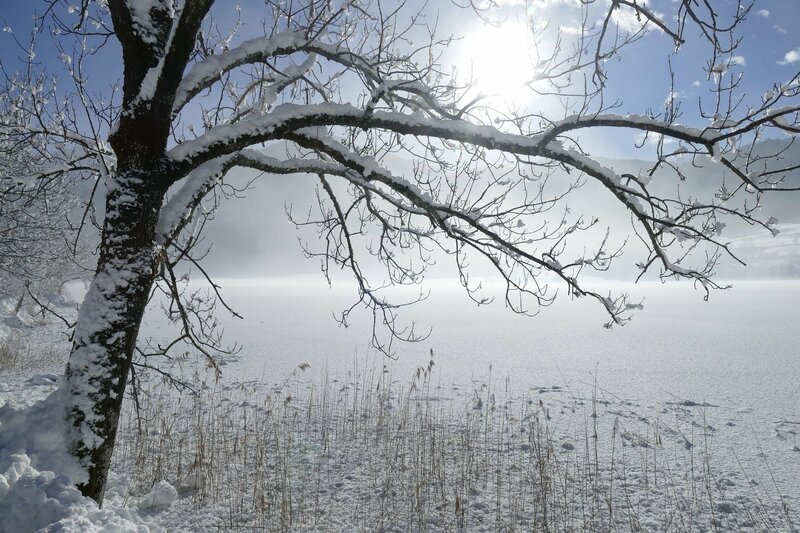 The word freezing is probably the most commonly used word to describe Winter weather in English. You fill in the blank for this one. Be creative or funny. There are some pretty raunchy ones out there that are best looked up online on your own time. Watch the video now to see Gabby give you five words to talk about the cold weather!